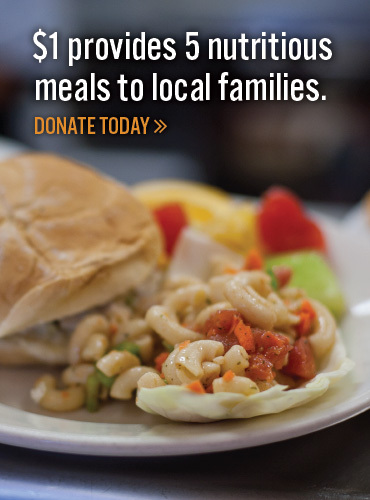 There are 70,000 people in our service area who are food insecure. Whether or not people eat and what they eat will impact their health and will have a great social and economic impact on our community. Second Harvest is proud to be partnered with so many businesses and organizations that are focussed on improving the health and well-being of our neighbors through our activities. Through the years, many groups and companies have been steadfast partners with Second Harvest and we look to solidify and grow this alliance as we all strive to provide a bright future for all by cultivating a healthy, hunger-free community. Our corporate partners are engaged in many of our campaigns and programs like Harvest for Hunger, Holiday Cheer and Generous Helpings. Many sign up to volunteer as a group and even individually. The important work that we do at Second Harvest is only possible with the continued help of our corporate partners. By supporting the work of Second Harvest, corporate partners are helping to improve the quality of life in our communities. If your business or organization would like to join us and our corporate partner friends that are growing hope in our region, we invite you to contact our External Affairs Department at 440-444-0691 to learn more about the many opportunites available at Second Harvest.